We've been talking about the severe weather signals for mid-February now off and on. Here is something that Josh put together from the #RRWT. 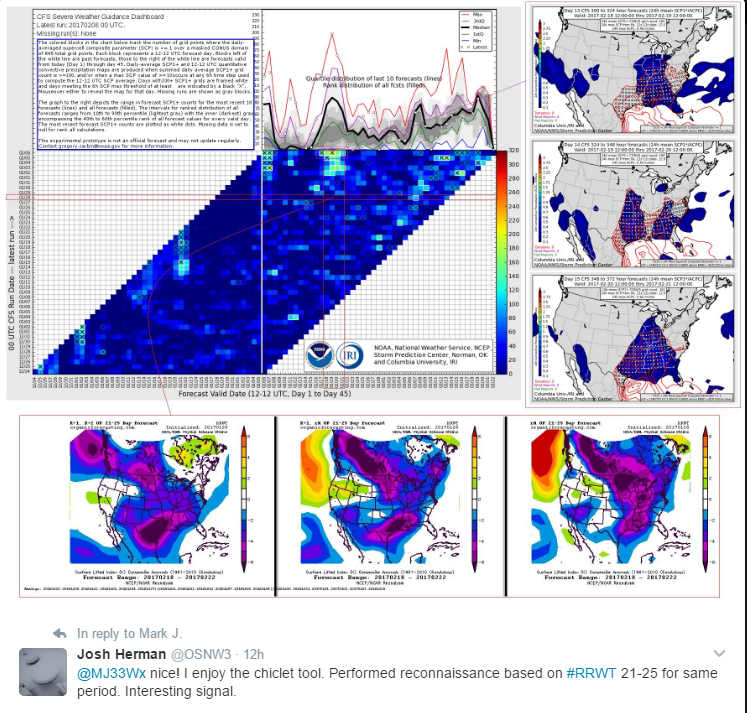 What you are looking at are the #RRWT Lifted Index maps for the 21-25 day "outlook" compared to the SPC CFS Dashboard for severe weather. Right off the bat, I want you to notice that the CFS Dashboard didn't see the 'signal' until the 276hr - 300hr forecast. 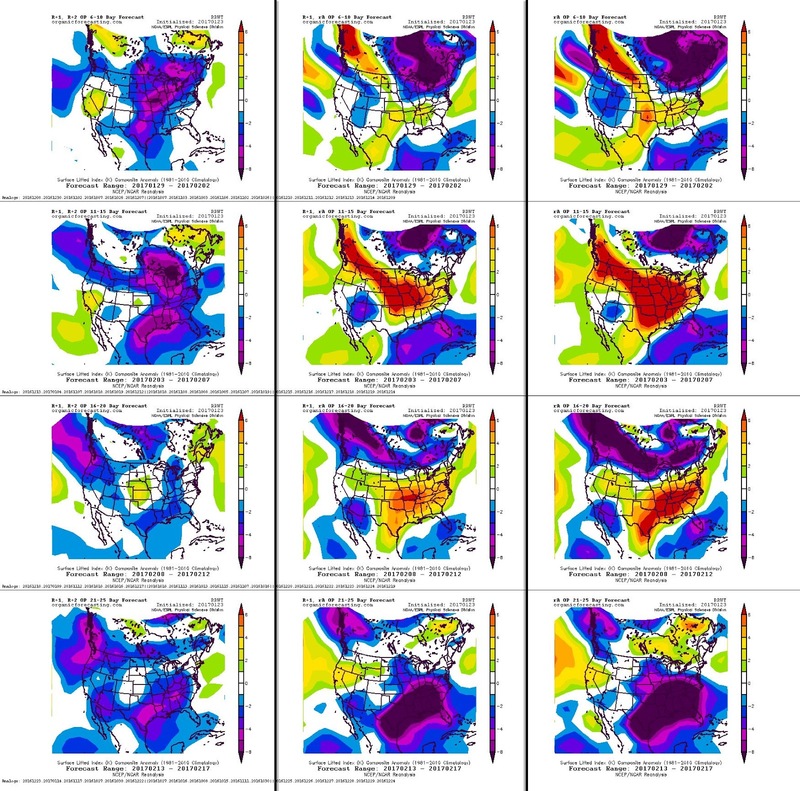 That's a mere 11.5 - 12.5 days heads up vs the #RRWT giving a signal by all three depictions starting on January 23rd for the date ranges of Feb. 13th-17th via the graphics below. The models are honing in on severe weather even before the CFS dashboard starting on the 17th. So, looking above you can tell that the #RRWT was a good indicator during a "lull" being shown via the dashboard. Mix that with the Southern Oscillation Index Delta, or #SOID. Multiple variations in the sine wave above note volatility in the daily SOI numbers. That volatility translates to a volatile pattern in the United States. Bad news for those along the Gulf Coast into the Mid-Mississippi and Tennessee Valley's.